Welcome to CGI Seed! Confident. Collaborative. Passionate. We are focused on meeting the needs of growers by providing a consultative, whole acre recommendation designed to deliver customized solutions to their challenges. CGI Seed combines an intense knowledge of local farming conditions with superior agronomic expertise, a strong emphasis on customer service, and the confidence of the broad and proven Syngenta portfolio of seeds, traits, seed care and crop protection products. A week ago corn planting was running behind schedule but thanks to the very latest precision technology corn farmers are now 17% ahead of the five year average with 55% of the crop in the ground, according to the latest crop progress report.“We saw more than one-third of the nation’s corn acres planted in a single week,” said USDA meteorologist Brad Rippey. The phenomenal progress included an increase of 38% in Nebraska and Illinois, 41% more in Missouri, 45% in Minnesota and an additional 54% of the acreage in Iowa. “Conditions were nearly ideal in much of the state last week and as a result farmers were able to make tremendous progress,” said Iowa Agriculture Secretary Bill Northey. “The incredible progress that we saw over the past week is a testament to the old fashioned, hardworking nature of farmers as well as the incredible advantages offered by modern farming technology,” said National Corn Growers Association PresidentChip Bowling. Soybeans also made significant progress in the week, with a total of 13% of the crop now planted. LINCOLN, NE—Ethanol advocates from across the nation came together in Washington, DC in late March as part of a “Biofuels Beltway March” to share their ethanol stories and communicate the widespread grassroots support for American Ethanol and the Renewable Fuel Standard (RFS). The conversations with policymakers were part of the annual march sponsored by the American Coalition for Ethanol (ACE), which took place March 24-25, 2015. Nearly 70 corn farmers, ethanol plant managers, retailers and other ethanol supporters took part in the Biofuels Beltway March. Members of the group met with Congressional Representatives and Senators from 44 states including Nebraska, Georgia, Minnesota, South Carolina and Texas. Nebraska’s corn industry was represented by Jon Holzfaster, a farmer from Paxton, Nebraska and director on the Nebraska Corn Board, and Kim Clark, director of biofuels development for the Nebraska Corn Board. ” We used this opportunity to share that American Ethanol fuel blends such as E15, E30 and E85 provide greater consumer choice at the pump, create jobs across the country, improve our environment and promote cleaner, healthier air for all of us to breathe, ” said Clark. While in Washington, DC, participants from Nebraska attended the Nebraska Breakfast, a 70-year-old tradition that allows constituents to engage with the Nebraska delegation and get updates on legislation and issues. Senator Hugh Butler began the Nebraska Breakfast tradition in 1943. It is held every Wednesday when both the House and Senate are in session. Optimum seeding rates are affected by crop residue levels and stored soil water. They also are affected by the hybrid selected. This includes the relative maturity, stress tolerance, prolificacy, and stalk lodging resistance. Full-season hybrids have the greatest yield potential. A mid-season hybrid at one location may be a full-season hybrid at another location since season length varies greatly across the state. The length of the growing season is affected not only by the number of days from the last frost in the spring until the first frost in the fall, but also by latitude and altitude. In addition, the field microclimate associated with residue cover greatly influences plant response to climatic conditions. The biggest risk to producing high yielding corn is selecting hybrids that are too long or too short in maturity. A short-season hybrid has a lower yield potential than a long-season hybrid; however, moisture limitations, frost, or both may limit performance of the long-season hybrid in some years. The most frequent problem is with corn hybrids that mature too late. If a full-season hybrid has been used under conventional farming methods, it may be too late if no-till methods are used. A mid-season hybrid for the area probably would be preferred in a no-till system. the amount of crop residue. Do not move or destroy crop residue. In fact, it’s best if you cannot tell if the field was planted. Within limits, these two guides can be used to help decide how late the hybrid maturity should be. The more stored soil water available, the later you can stretch the maturity range in hybrid selection. However, use this recommendation cautiously and avoid going to the extremely long hybrids unless you are ready to assume the risk of a crop badly damaged by early frost or drought. decrease water use by weeds through suppressed growth from competition. Maximizing rainfed corn yields in Nebraska usually requires 4,000-7,000 lb of crop residue per acre. Full-season hybrids also are more risky when high plant populations are used. With a greater amount of soil water at planting, it is usually preferable to increase the planting rate rather than switch from a mid-season to a full-season hybrid. If full-season hybrids are used, reduce the plant population. Generally, for every four-day reduction in hybrid maturity, 1 inch less water is required. However, this large amount is only true in well-watered conditions. For example, studies conducted with adequate soil water have shown that with a 2,400 or less growing-degree-day (GDD) hybrid, optimum harvest population was above 30,000 plants while with a GDD hybrid of 2,700 or more, optimum harvest population was 26,000 plants. The GDD concept was developed to help rate corn maturity. Seeding rates for corn in Nebraska under rainfed conditions have ranged from approximately 8,000 to 27,000 plants per acre. Water requirements of corn only decrease if the population is less than 18,000 plants per acre. Corn yields increase from 6 to 12 bushels per acre for each additional inch of soil water beyond the 8-11 inches needed for initial grain development. Many agronomists feel that maximum production is reached with a 0.5 pound ear weight with row spacings of 20-36 inches. The skip-row system — with plant 2 skip 1, plant 1 skip 1, and plant 2 skip 2 rows — probably increases to 0.6 lb ear. Under dryland conditions, an ear weight of 0.6 lb or even 0.7 lb in a skip-row system may be a more desirable goal in areas with a longer growing season. 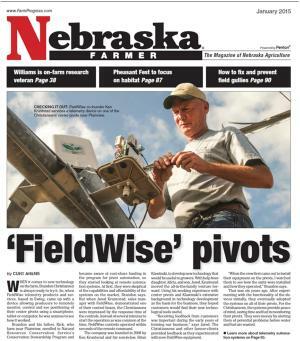 But in areas such as the Nebraska Panhandle, a 0.4 lb or 0.5 lb ear in a skip-row system may be optimum on a year-to-year basis. This would provide some insurance if a drought occurred. Table I lists the harvest plant population needed for yield goals from 40 to 170 bushels per acre based upon ear weights of 0.4 and 0.6 lb. There has been a tendency for increased yields with the higher populations in favorable years, but as population increases, the risk of crop failure also increases. Plant population increases do not necessarily decrease the amount of water available to each plant by a proportional amount because as plant population increases, leaf canopy increases, which reduces the amount of direct sunlight reaching the soil surface. Wind movement within the canopy is also reduced as population increases. Both of these effects help the growing crop. The shade reduces the soil temperature, which in turn reduces surface evaporation. With high levels of crop residue, this effect is reduced. Reduced wind movement also decreases surface evaporation and tends to keep the humidity in the canopy a bit higher, which lowers the transpiration rate. The higher population also creates some mutual shading, which keeps the leaves somewhat cooler. This, too, reduces the transpiration rate. At present, corn plant populations of approximately 8,000 to 16,000 plants per acre in 30-inch rows are recommended for rainfed production in western Nebraska. In a two-year, multiple-site field study conducted in western Nebraska in 1999 and 2000, optimum dryland corn population varied from less than 7,000 established plants per acre to more than 23,000 plants per acre, depending largely on available water resources. These data were used to validate a corn growth simulation model that was then coupled with long-term sequences of historical climatic data (1948-2001) from western Nebraska to estimate dryland yield for a range of corn populations. Simulated populations ranged from 8,000 to 20,000 established plants per acre. Simulations had one of three levels of available soil water at planting, either 3.1, 6.3, or 9.4 inches in the top 5 feet of a loam soil, representing one-third, two-thirds, and full soil water profiles, respectively. At Sidney median yields (half of the yields are greater than the median and half are less) were maximized at 8,000, 12,000, and 16,000 established plants per acre for starting available water levels of 3.1, 6.3, and 9.4 inches, respectively. At Precision Planting’s annual winter conference the company introduced vDrive Insecticide, a more precise metering and control system for granular insecticide application on planters. The idea was inspired by Luke Stuber’s, Precision Planting, planting experience in the spring of 2014. Stuber and his father were testing SpeedTube, a replacement product for the traditional seed tube that enables planting speeds up to 10 mph. Stuber calibrated the planter’s current insecticide meters to apply the right rate for 7 mph. The vDrive Insecticide solves this problem by adjusting insecticide control based on speed, which will be key as high-speed planting becomes a reality. The electric drive system works through a single wiring harness that runs down the planter bar. One wiring harness runs to each individual row unit and from there a harness is run to the vDrive on the vSet meter and one to the insecticide box to drive that meter. Using both vDrive systems allows farmers to remove drive systems, chains, sprockets, and hex shafts. “As farmers work to closely manage their inputs and optimize yields, vDrive Insecticide helps them more precisely manage insecticide applications in a continued effort to promote sustainable agriculture practices,” adds Stuber. vDrive Insecticide will be tested on about 10 John Deere 1700-style planters this spring. If beta tests go well, production is expected in 2016. Keeping stored grain cool is important as outdoor temperatures fluctuate and eventually start to warm this spring, a North Dakota State University Extension Service agricultural engineer advises. For each 10-degree increase in grain temperature, the allowable storage time decreases by about half, said Ken Hellevang, a professor in NDSU’s Agricultural and Biosystems Engineering Department. For example, the allowable storage time for 18% moisture corn is about 200 days at 40°F, 90 days at 50°F, 50 days at 60°F and only 30 days at 70°F. “Not only are daytime temperatures increasing, but the bin works as a solar collector,” he says. He recommends producers run the aeration fans periodically at night or during the cool part of the day to cool the grain. The goal is to keep the grain temperature cool during spring, preferably near 30°F in the northern part of the country and below 40°F in southern regions. Nighttime temperatures typically are near or below 30°F in March and below 40°F in April. Even in early May, they frequently are below 45°F. “Temperature sensors are an excellent tool, but remember that they only measure the temperature of the grain next to the sensor,” Hellevang says. Aeration fans or ducts should be covered when not operating. The wind will push warm, moist spring air through the grain, warming it to near the daily maximum temperatures. Typical maximum temperatures even in northern states in late March are in the mid-40s and increase in late April to around 60°F. Also, grain moisture will increase as grain is warmed. Hellevang suggests checking the stored grain every two weeks. While checking on the grain, measure and record the grain temperature and moisture content. Rising grain temperature may indicate insect or mold problems. Insect infestations can increase from being barely noticeable to major infestations in three to four weeks when the grain is warm. Checking the grain moisture content is important because moisture measurements at harvest may have been in error due to moisture gradients in the kernel, grain temperature, and other factors. In addition, the moisture may have changed while the grain was in storage due to moisture migration or moisture entering the bin. Immature grain and grain with damage to the seed coat are more prone to storage problems, so the grain should be stored at a lower moisture content than normal, Hellevang says. When checking the moisture content of stored grain, follow the manufacturer’s procedure for obtaining an accurate moisture measurement. Temperature adjustments, cold grain, inaccurate sample quantity and moisture variations across the kernel frequently cause substantial measurement errors. Verify the accuracy of the measurement by warming the grain sample to room temperature in a sealed plastic bag before measuring the moisture content. A period of six to 12 hours in a sealed container also permits grain moisture to reach equilibrium across the kernels. 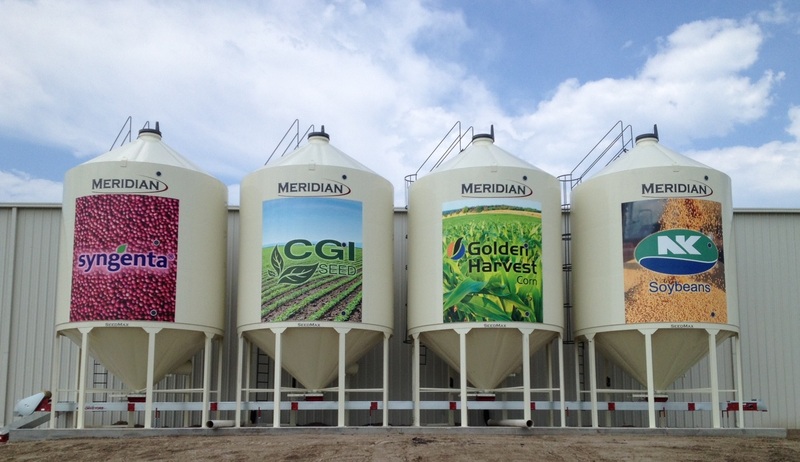 Grain moisture content is even more important for summer storage. The moisture content must decrease as the grain temperature increases to prevent mold growth and grain deterioration, Hellevang says. Corn needs to be dried to 13.5% or 14% moisture, while soybeans should be dried to 11%, wheat to 13%, barley to 12%, and oil sunflowers to 8% for summer storage. He also recommends covering aeration fans in the summer to prevent wind and a natural chimney effect from warming the grain. Grain will warm to near the outdoor temperature if the wind is allowed to blow into the fan or duct. Syngenta is one of the world’s leading companies with more than 28,000 employees in over 90 countries dedicated to our purpose: Bringing plant potential to life. Through world-class science, global reach and commitment to our customers, we help to increase crop productivity, protect the environment and improve health and quality of life. For more information, please go to www.syngenta.com.